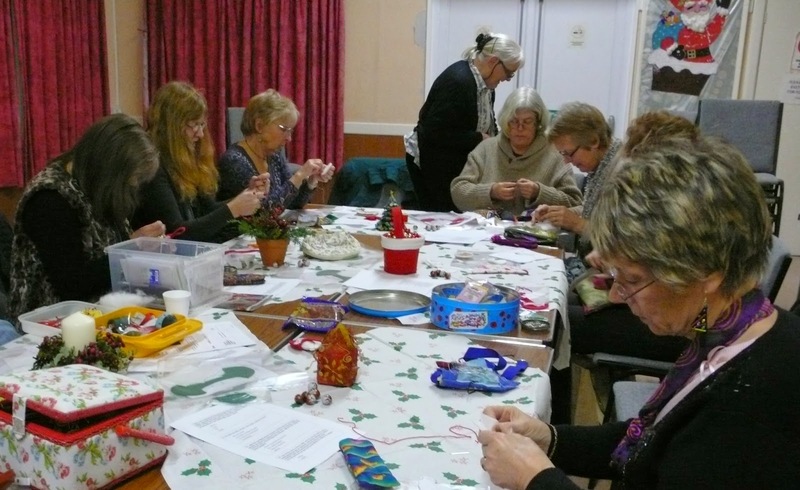 Defying the first chilly weather of December, a group of enthusiastic stitchers met up last Monday to enjoy an evening of sewing, chatting, eating and of course, a couple of Eleanor's quizzes! 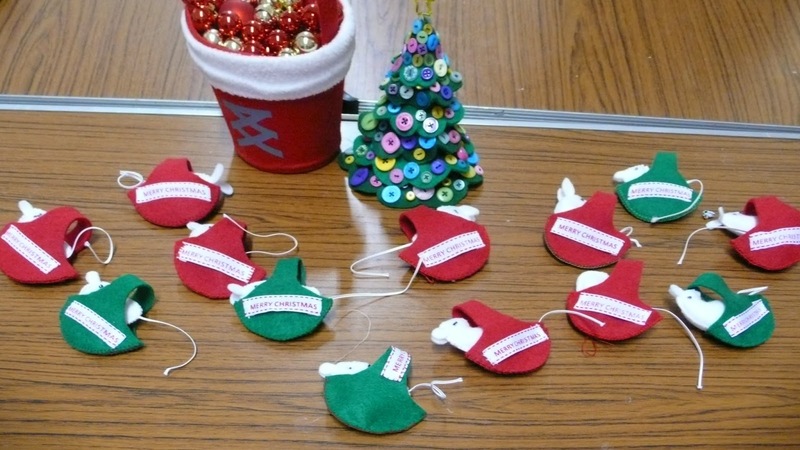 Under the guidance of Helen and Eleanor, this year's Christmas themed project was 'Mice in Baskets'! 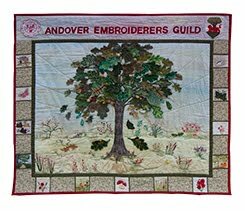 We were all given kits to work from and production was soon underway. Janice D provided a music player and we listened to Christmas carols while we worked. 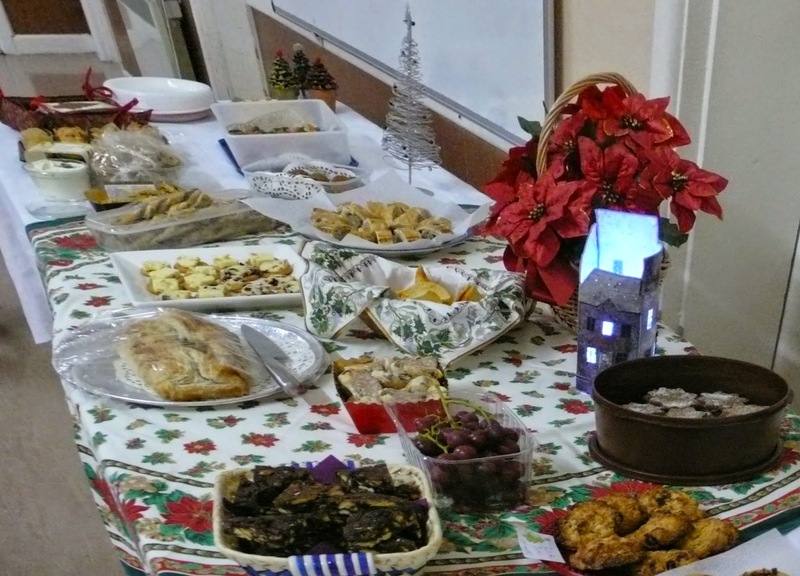 Everyone brought a plate of food and at the end of the evening, we all tucked into a delicious spread. The time flew by and before we knew it, it was time to pack everything away. 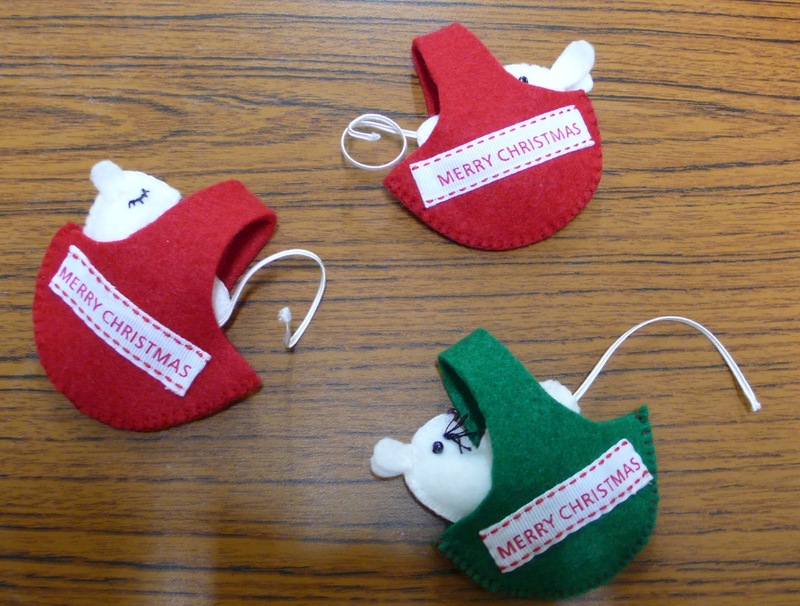 Our mice were carefully popped into their Christmas baskets, ready to make us smile on Christmas Day. A big 'thank you' goes to our committee for organising a very enjoyable evening. All their hard work was much appreciated.